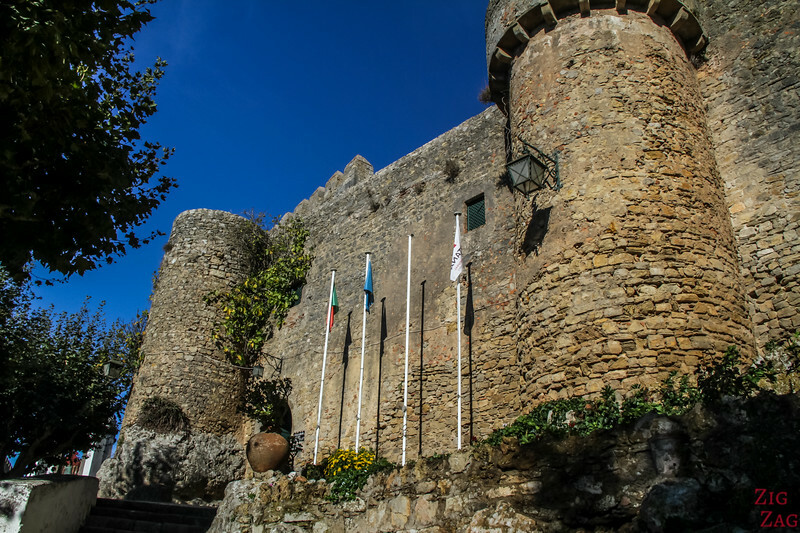 The main entrance is from the Town Gate built in 1380 - Porta da Vila. 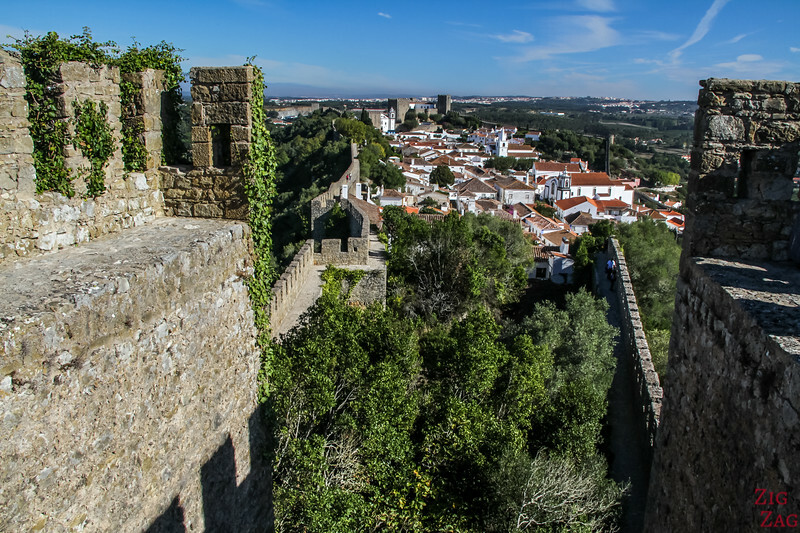 Obidos has been a national monument since 1951. 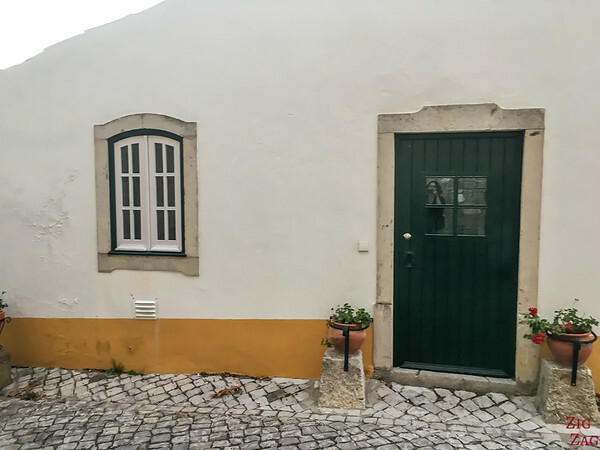 However 2 other doors allow access to the village on the same side. 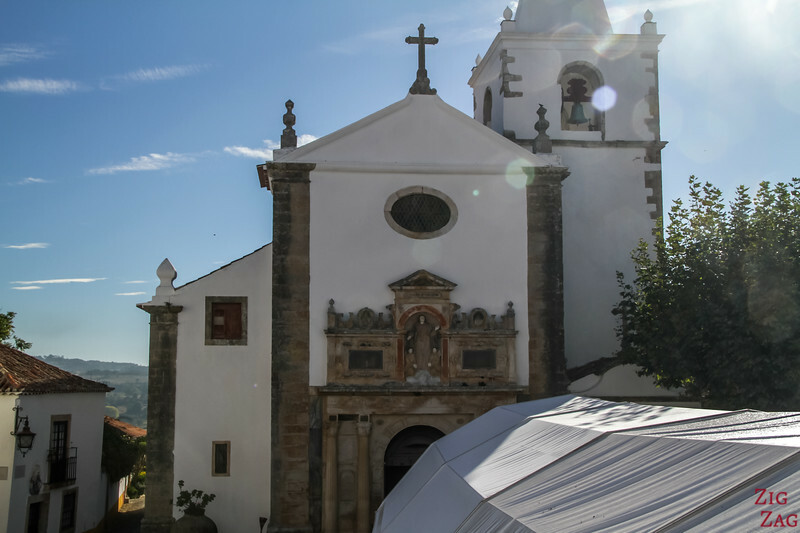 As you enter, you discover the oratory or Our Lady of Piety which was created during the 17th century. 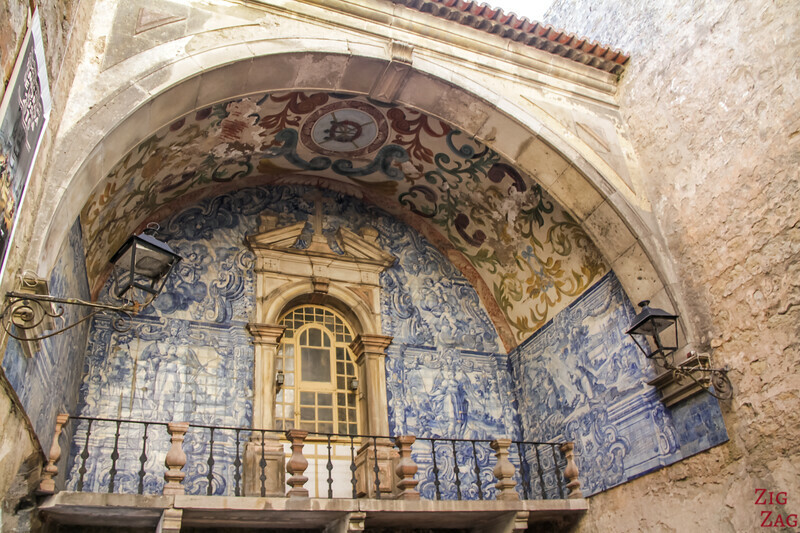 Is is a covered with beautiful tiles (Azulejo) from the 18th century. 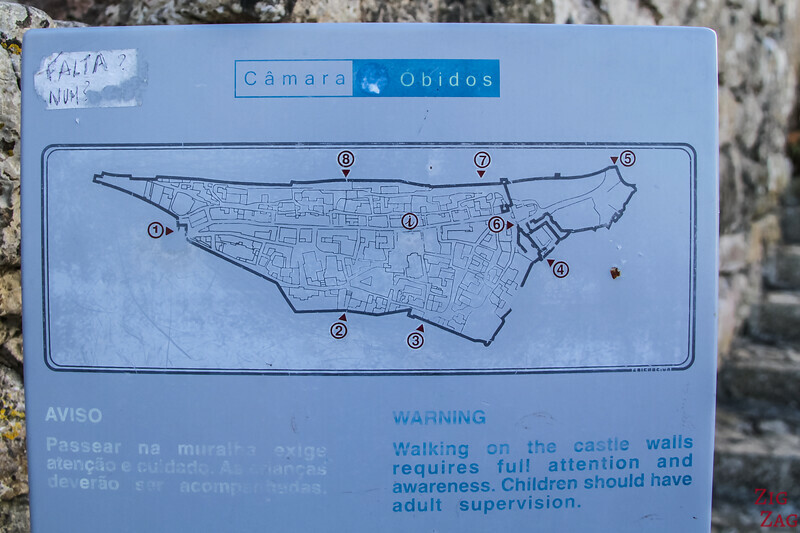 Close to the main gate, you can find a map of Obidos Portugal (left s South and right is North). 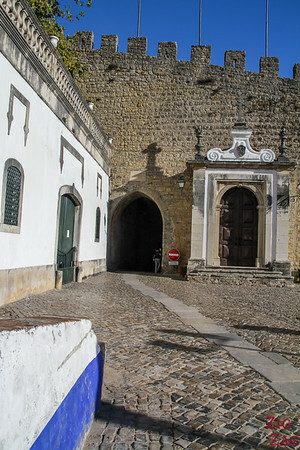 1 is the main gate and around 6 is access to the Obidos Castle. From the gate you can climb to the fortications right away. And I will show you that later. 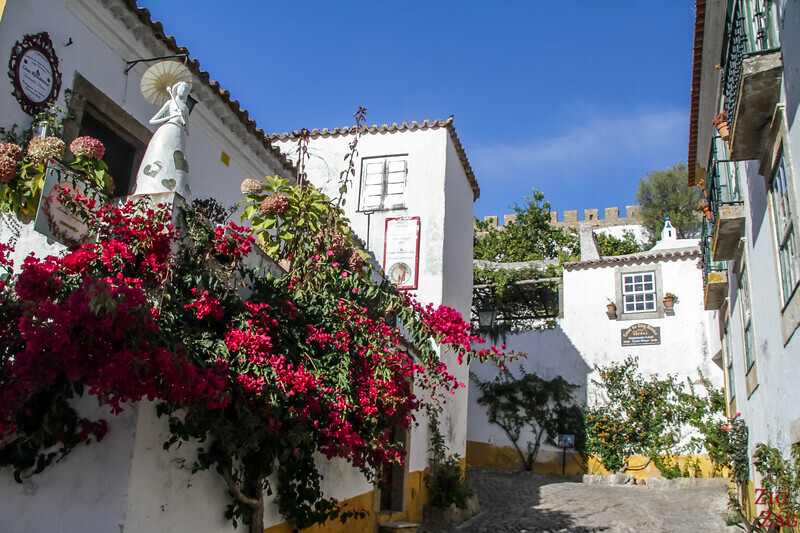 But first let's discover the main street that leas you from the gate to the Obidos Castle. 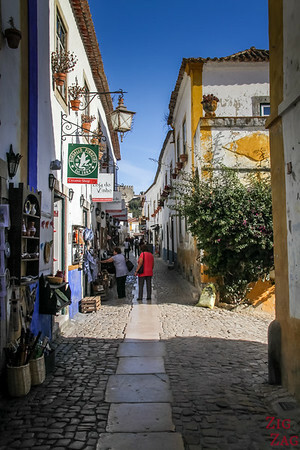 The main street is the busiest. 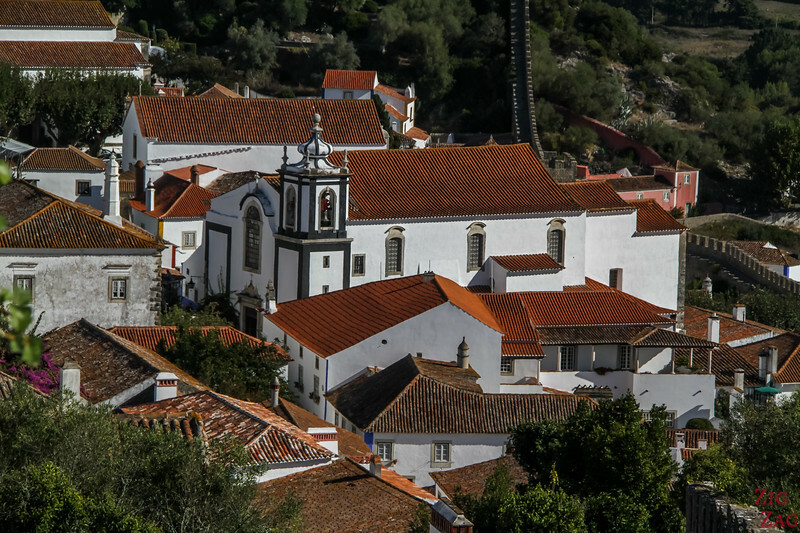 This is where you can find all the souvenir shops and opportunities to drink the speciality Ginjinha de Obidos (see later in the post). 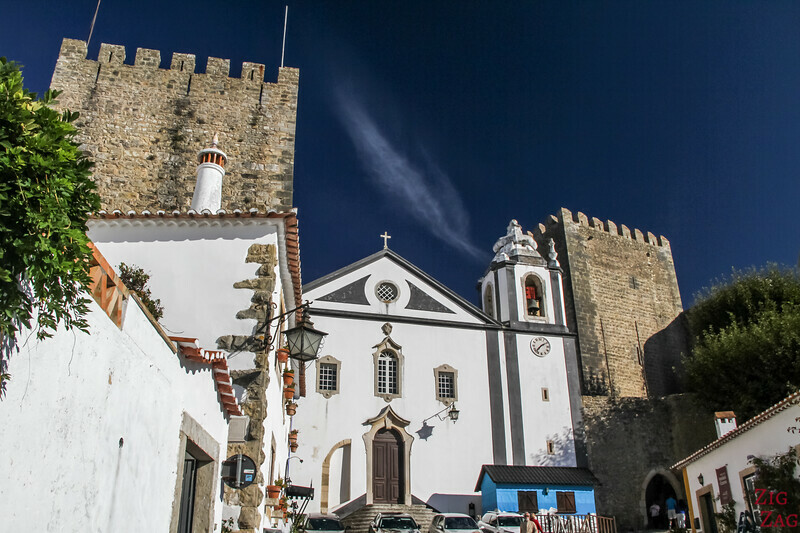 This is where King Afonso V and Isabella of Coimbra were married in 1441 when they were just kids. And at the end, just before the castle is Santiago Church between the 2 fort towers. The best view is from the back. 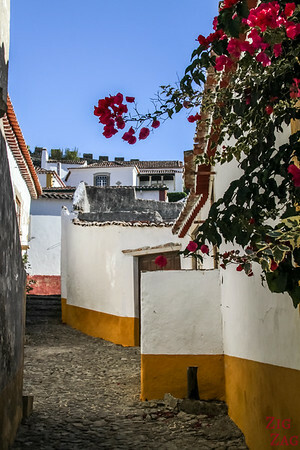 Go through the gate near the Santiago church and walk towards the North End of the hill. Light would be better in the afternoon, with the sun rays hitting the façade, but it is still quite impressive. It is really massive with very little openings. The entrance inside the castle is actually on the city side of the wall. 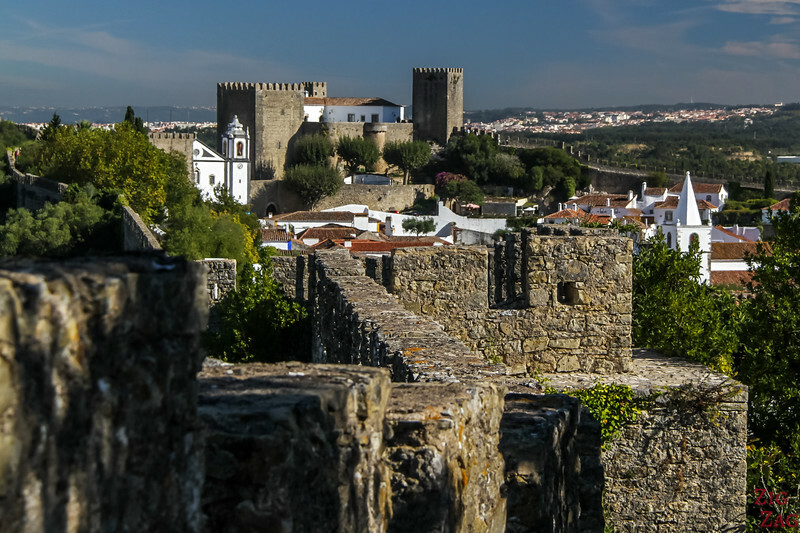 But the Obidos Castle cannot be visited because it is today a hotel: the Obidos Castle Hotel. 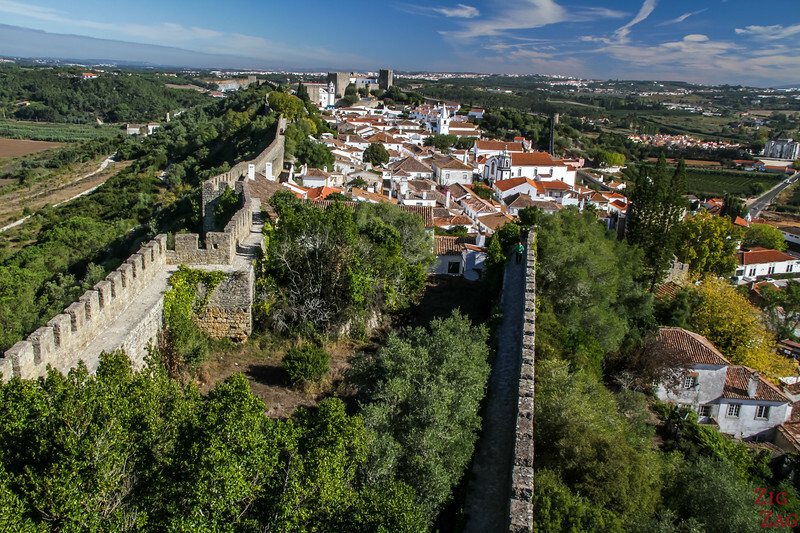 And here is the highlight of any visit: walking on the fortified walls of Obidos. Several staircase allow you to climb up there. They have between 40 and 60 steps each. 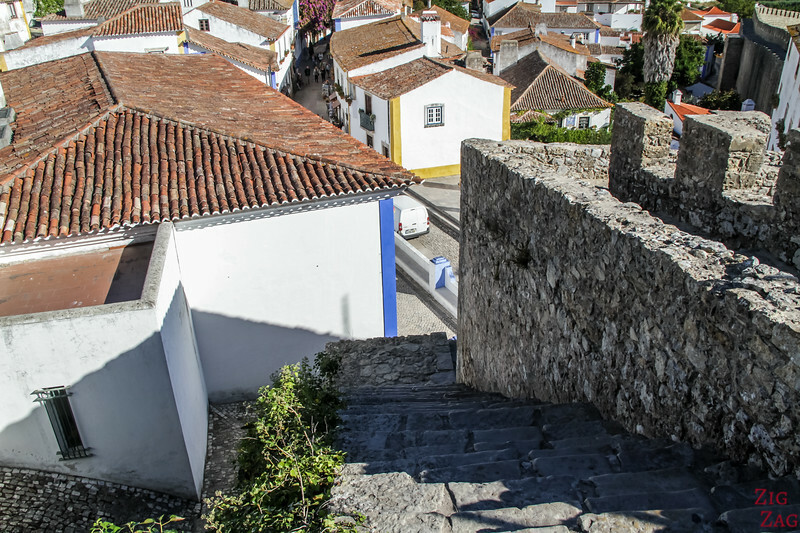 The steps are high and uneven but it is worth the climb! The Staircase near the Main gat is actually one of the hardest. 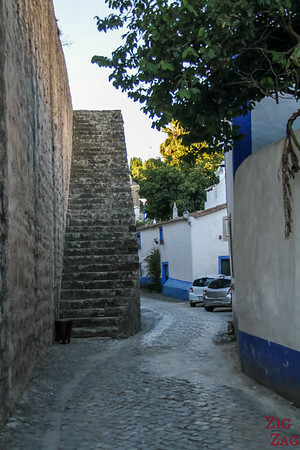 If you follow the fortification at the bottom on your right after entering, you will find a straight staircase that is larger and has only 40 steps. Here is the view right after the climb at the Main gate. 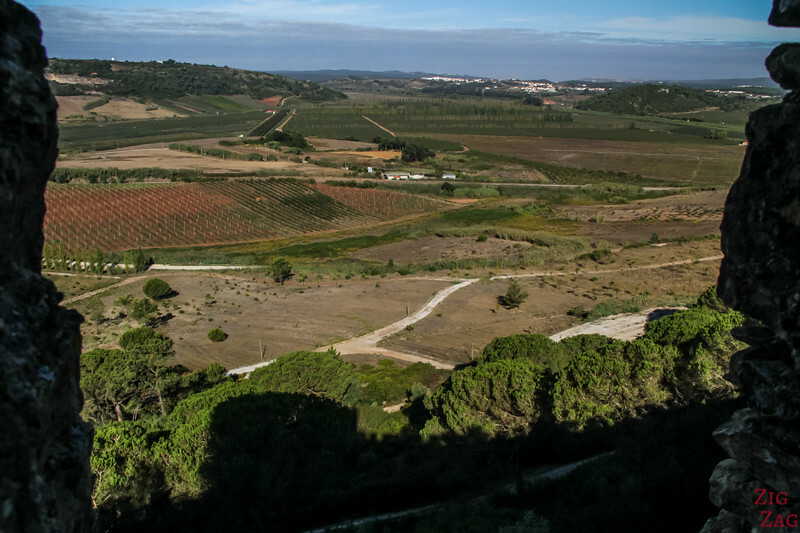 From the west side, you have beautiful views of the area and agricultural fields. 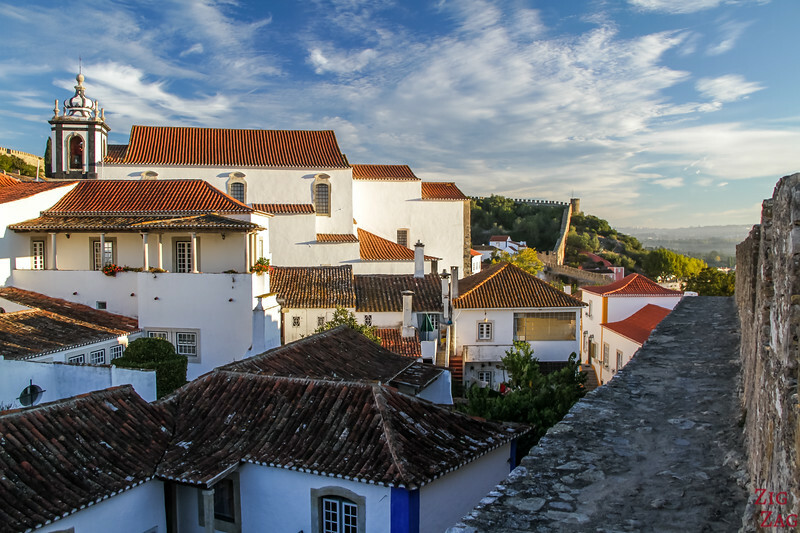 The mix of stone wall and white houses is really stunning. Don't you think? 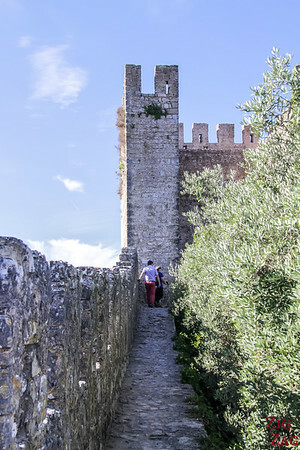 At the South End of the fortifications, you can continue climbing big steps to reach the top of the tower. It is quite impressive and definitively not for people with vertigo!!! 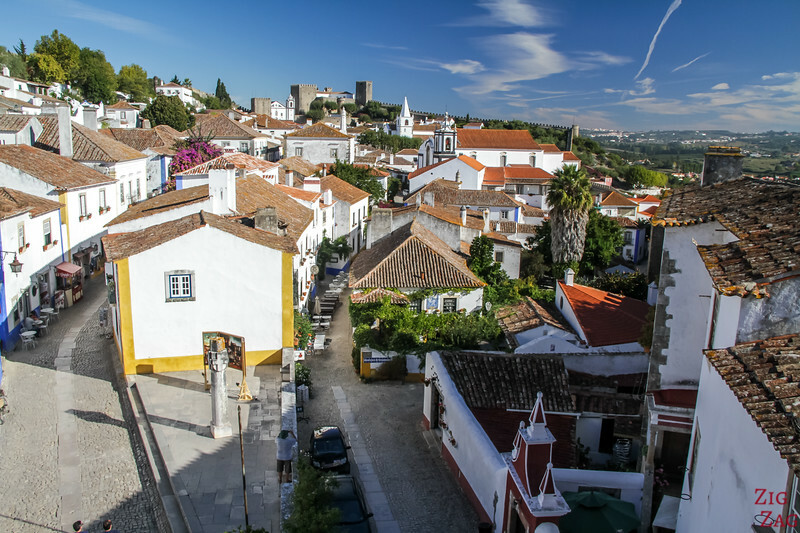 From up there you can see the whole village of Obidos in its length. 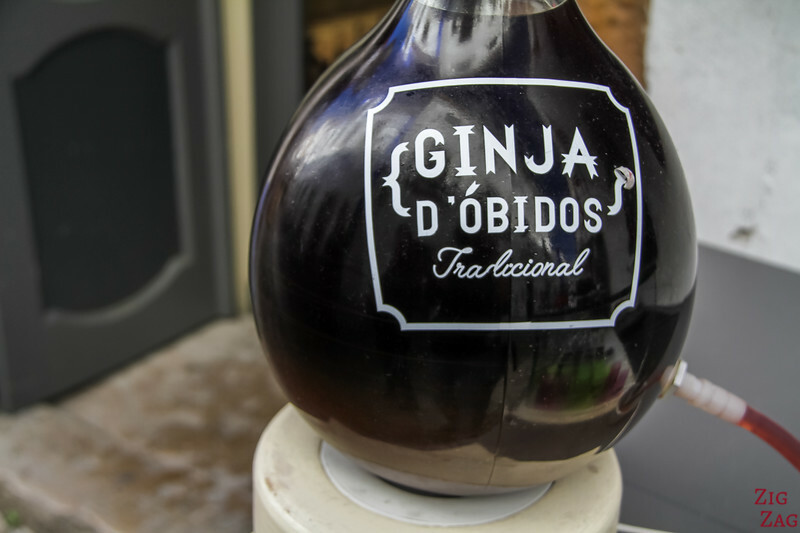 Obidos is also famous for the quality of its cherry brandy liqueur: Ginjinha. You can pay for a shop just on the stalls outside. 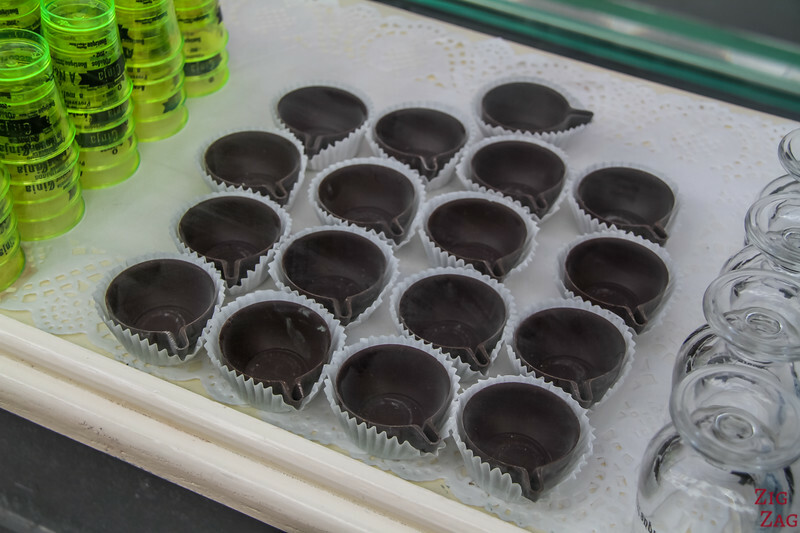 And the classic on is to drink it in a chocolate cup 🙂 Drink and eat! 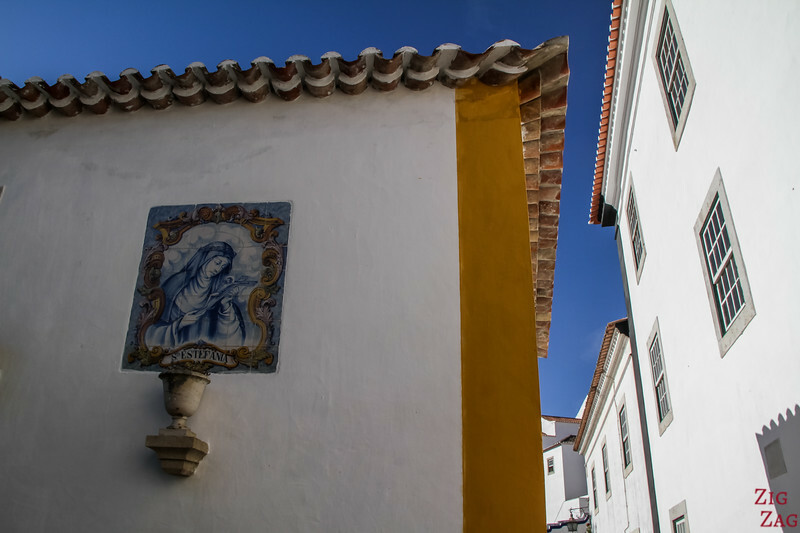 It is so photogenic, there are no best spots to photograph Obidos... you just have to tour the fortifications and streets to find the best angles with the light you have... But you won't be disappointed! 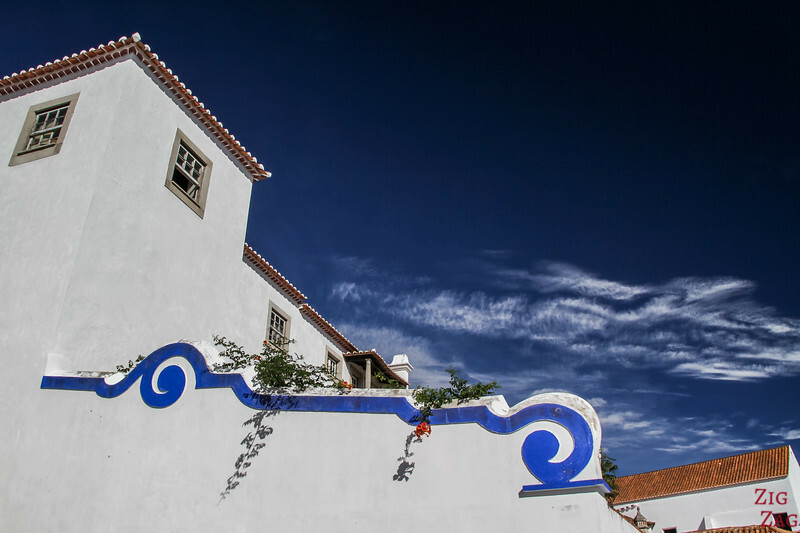 Obidos is not right by the sea but it is not far. 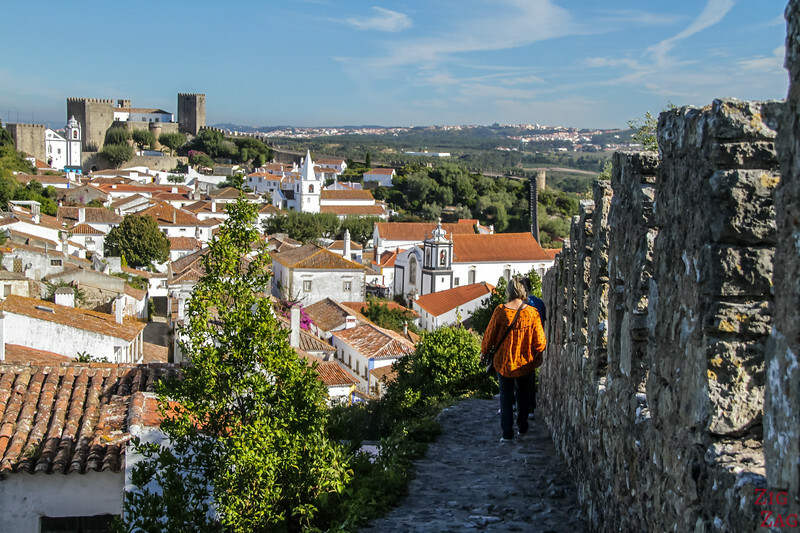 I you want a little bit of fresh air you can head to the Obidos Lagoon for white sand and enjoyable waters. Links below are affiliates. When you use them to book your accommodations anywhere, I get a small commission at no extra cost to you. 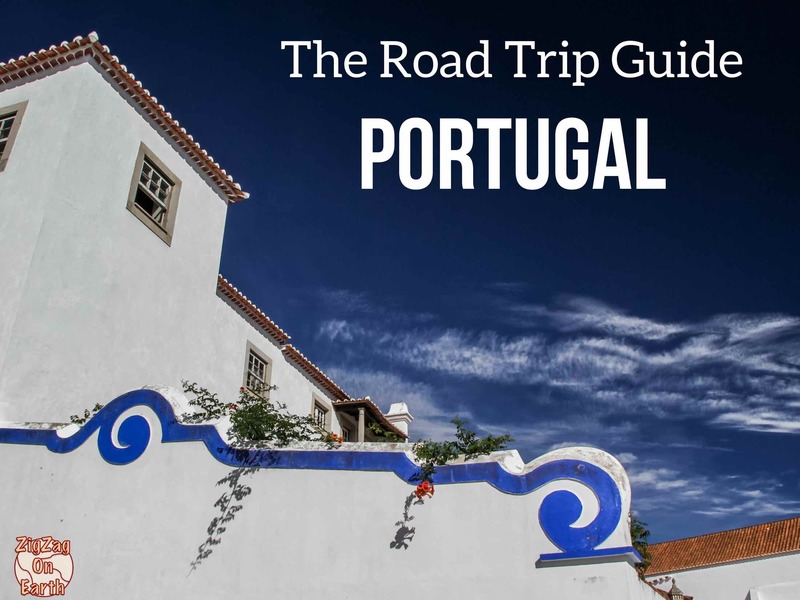 It helps me continue this blog and provide you with photos and info to plan your trips. Thanks for the support. 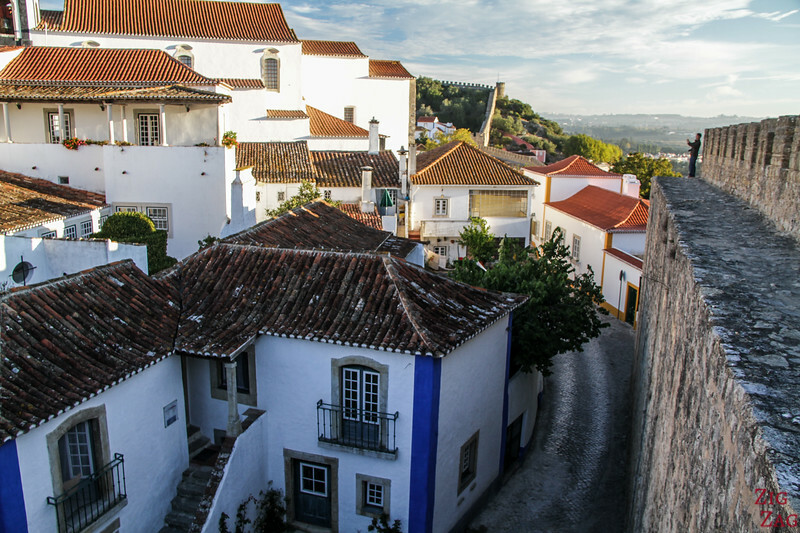 Obidos is a touristic place, so you will find plenty of accommodations. You can stay inside or just outside the walls. 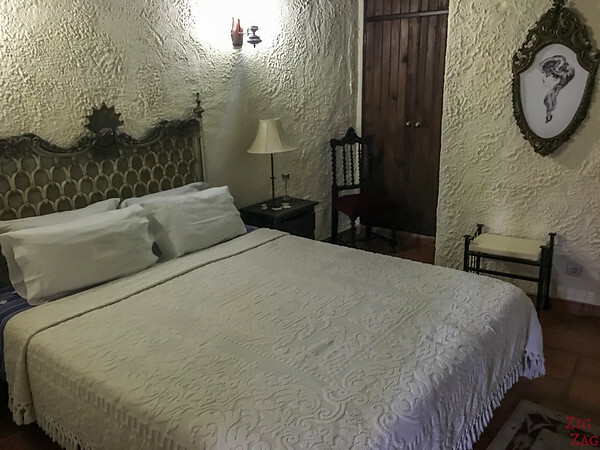 There are many small guesthouse, which is great to have a chat with locals! Would you walk on the walls? Looks amazing! 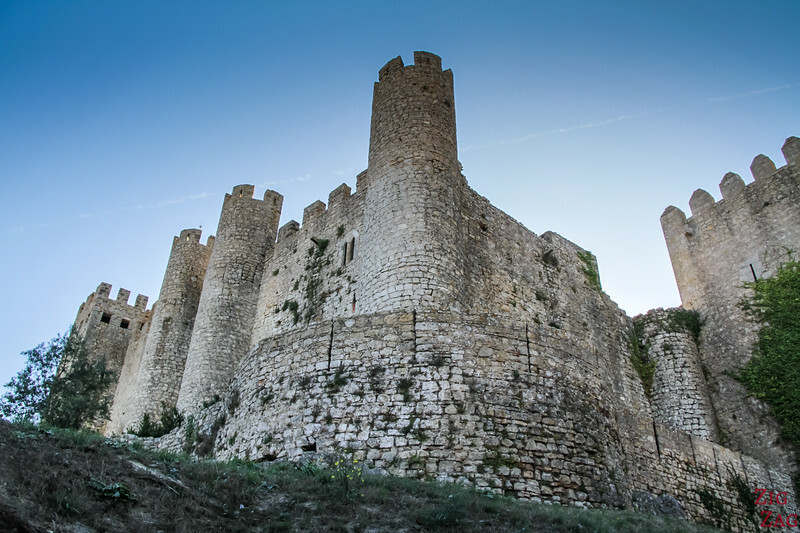 I definitely want to add this village & castle for a future trip to our list.